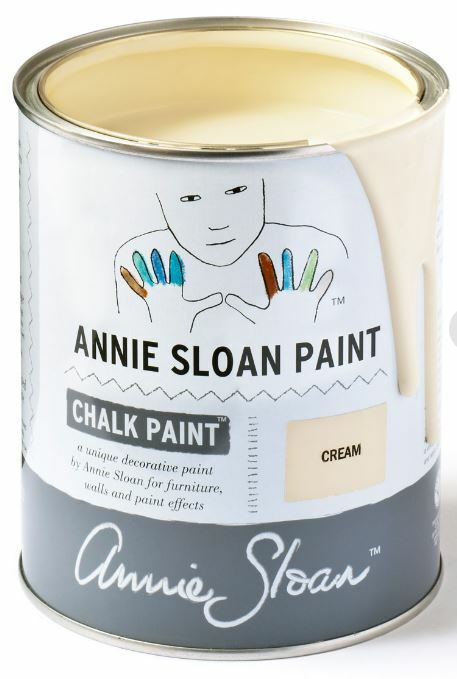 Sometimes when you cannot find the right floor cloth for a space in your home- you just have to take charge and make it yourself using the one and only, original Chalk Paint® by Annie Sloan! 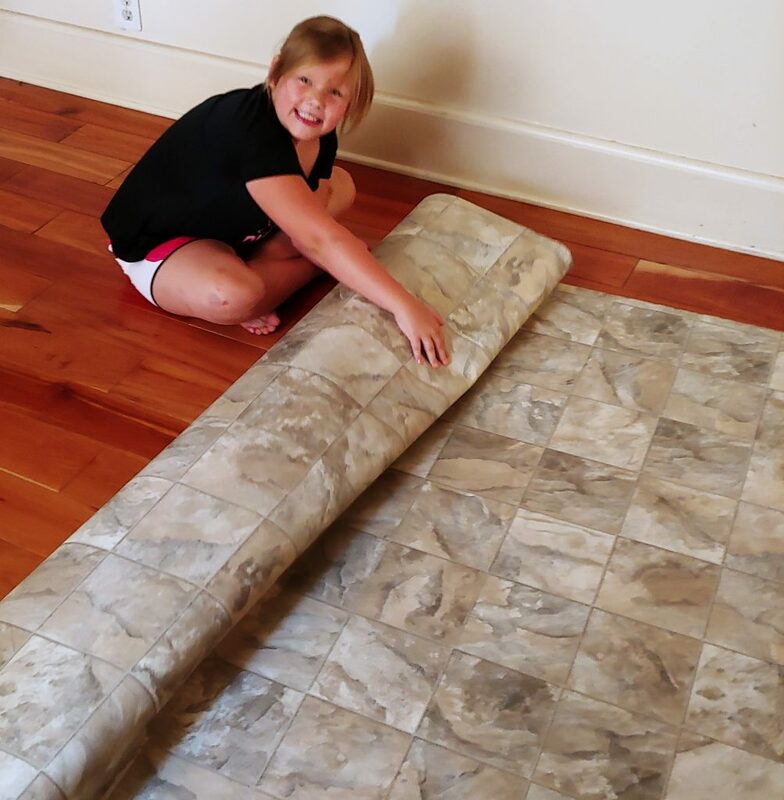 Check out this beautiful handmade floor cloth created using a scrap piece of linoleum from a local floor store and Chalk Paint® by Annie Sloan by our friend and customer, Stacey Goodspeed and her daughter Áine. In fact, Stacey is such a fan of Annie Sloan – she helps us out at The Purple Painted Lady festival and other large events sharing her knowledge with customers. Stacey and her daughter do a lot of creative things together. This is Áine, in the photo – and she helped with this incredible transformation! 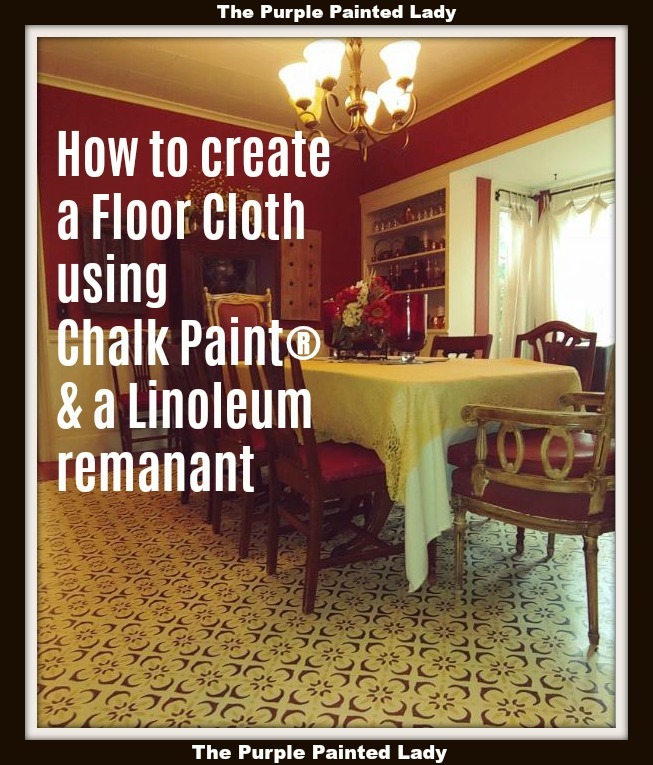 Stacey started this project by covering the entire piece of linoleum with 2 coats of Cream Chalk Paint® by Annie Sloan. 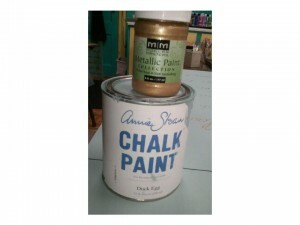 Cream Chalk Paint® is a soft buttery yellow. 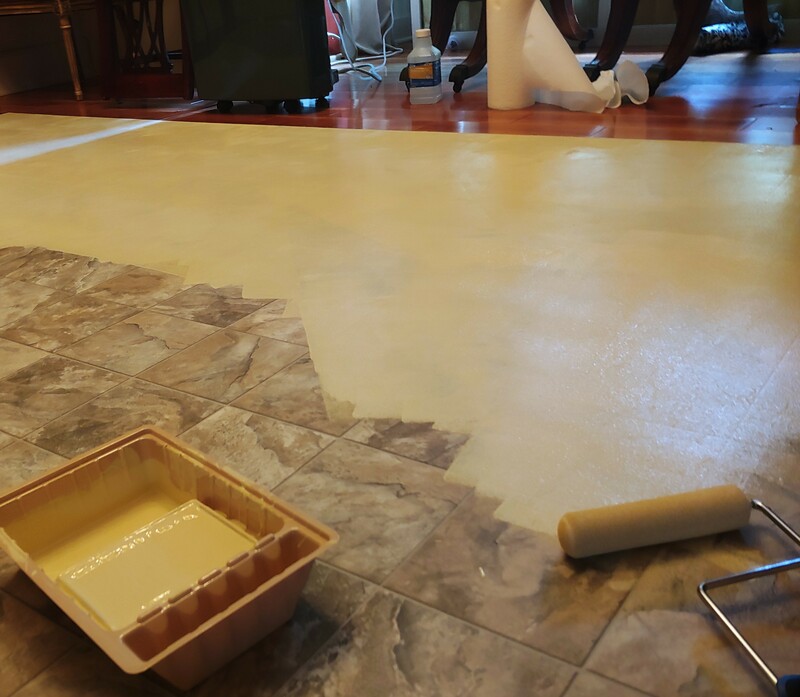 She chose to use a roller to apply the paint to make it a little quicker and easier…AND so that she would have a smooth finish on her mat without any brush strokes! It is VERY important when rolling Chalk Paint® that you add water to your paint! You can add up to 20% water. 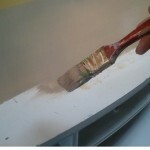 This will allow the paint to apply smoothly and not pucker as the roller pulls away from where the paint was applied. If your paint is too thick when using a roller, the result left behind could look a bit like “hammered copper” or puckered. To prevent this- you need to use a foam roller – NOT a nappy roller like you would use to paint your walls with latex paint. Annie Sloan makes GREAT foam rollers that are available in a 2 inch size, as well as a 4 inch size! The 4 inch size would be the recommended size for a floor cloth. 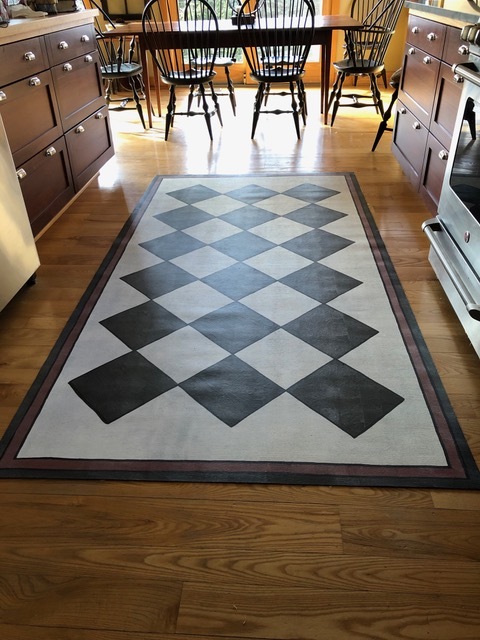 After rolling 2 coats to completely cover the linoleum, Stacey and Áine started using a stencil that they purchased from Michael s Crafts, to create the pattern. Annie’s Stencil Brush would have been the bomb to use though! 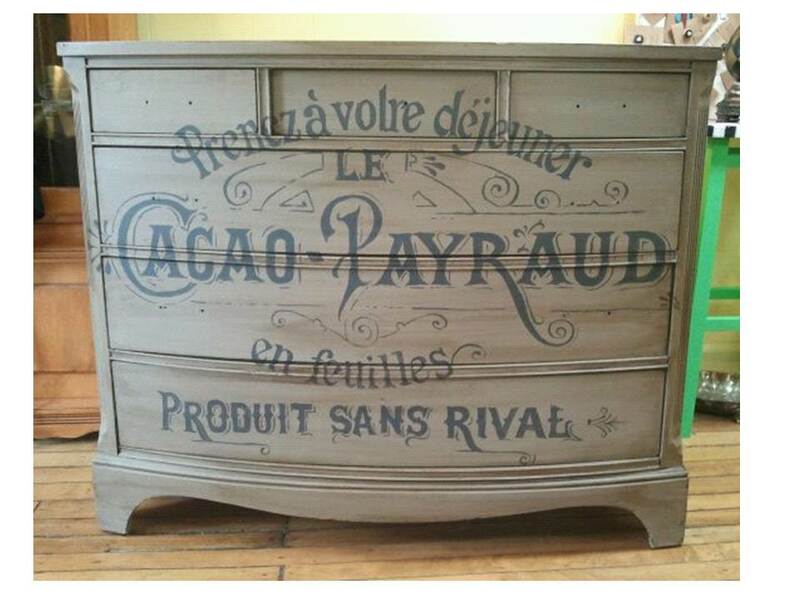 They used small artists’ brushes to paint the design with the Chalk Paint® colors Honfleur (the milk chocolate brown color) and Arles (the sunflower yellow color). 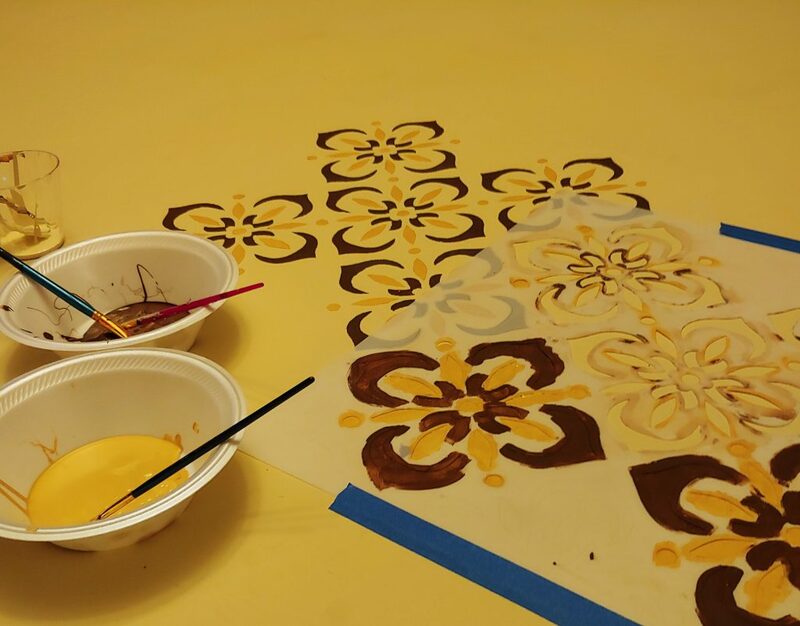 It is important to make sure the stencil is lined up and is straight, so the pattern isn’t misaligned! Measure twice before starting! 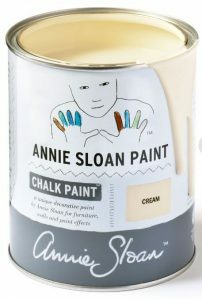 Check out the variety pack of detailed brushes made by Annie Sloan HERE!! The pattern they used almost reminds me of a Mediterranean-style tile. ALWAYS use lacquer at room temperature – moisture and humidity can cause it to look hazy, rather than clean and crisp. 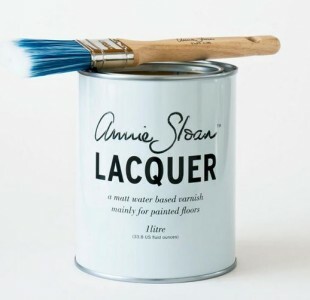 NEVER over-brush your lacquer – this will also cause it to look hazy. The varnish is quick drying, non-toxic, low odor, and non-yellowing. The lacquer will give you a very durable scuff resistant finish. Note though, it is not recommended in areas where there will be a lot of water. So, if using in a bathroom, plan on toweling up wet floors so there is no standing water for long lengths of time. After it has dried, it is VERY protective and will hold up extremely well even on floor that are constantly being walked across. Stacey’s floor mat should hold up for a very long time, which is good because it is so beautiful! If you do NOT have a local stockist- know that we are here for you! 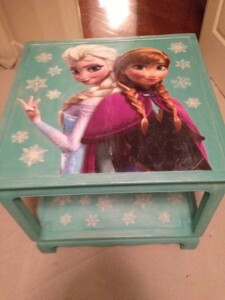 One of The Purple Painted Lady’s marvelous customers, Yugonda created this awesome “Frozen” piece on a table she bought for only $3. Yugonda said it needed a lot of work just to get it into a condition that it could be painted, but hey, for $3 – who can complain?! 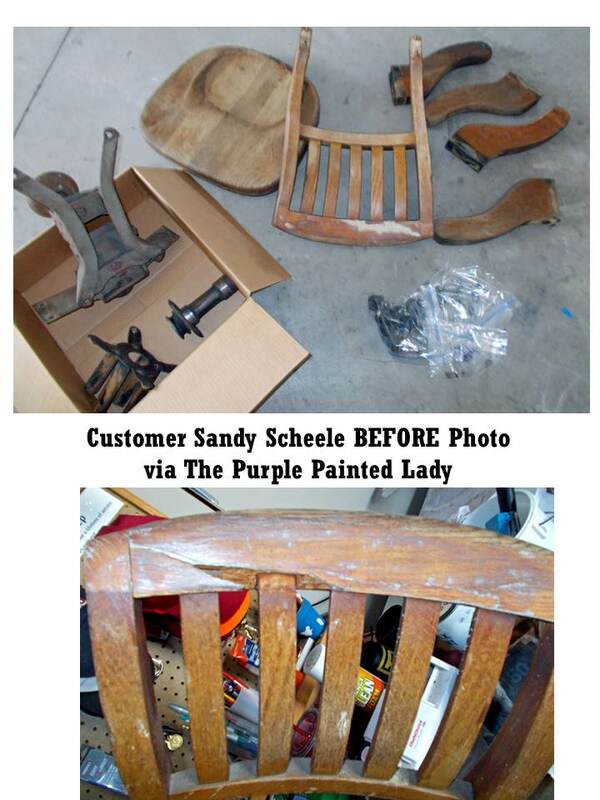 She used wood filler and a sanding block, but no other prep like primer or shellac. 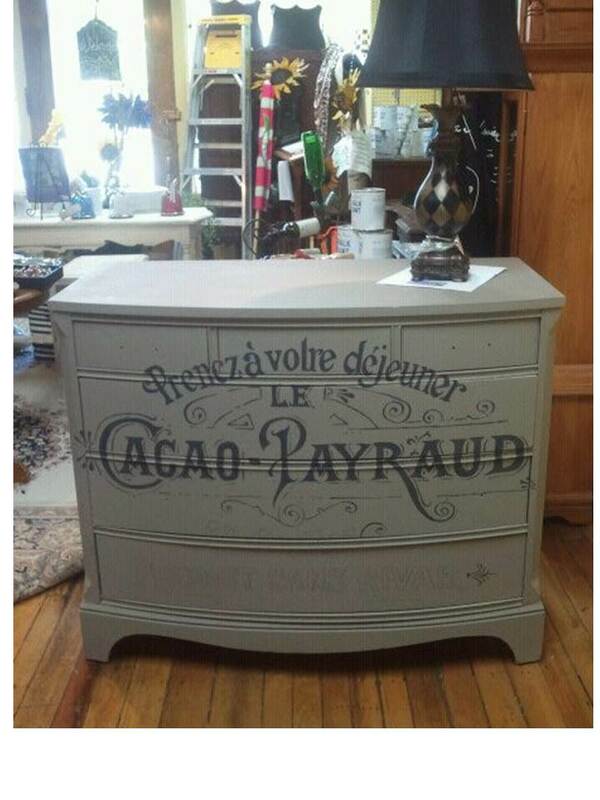 First she painted it with a mix of Florence Chalk Paint® and Artisan Enhancement’s Pearl Plaster. 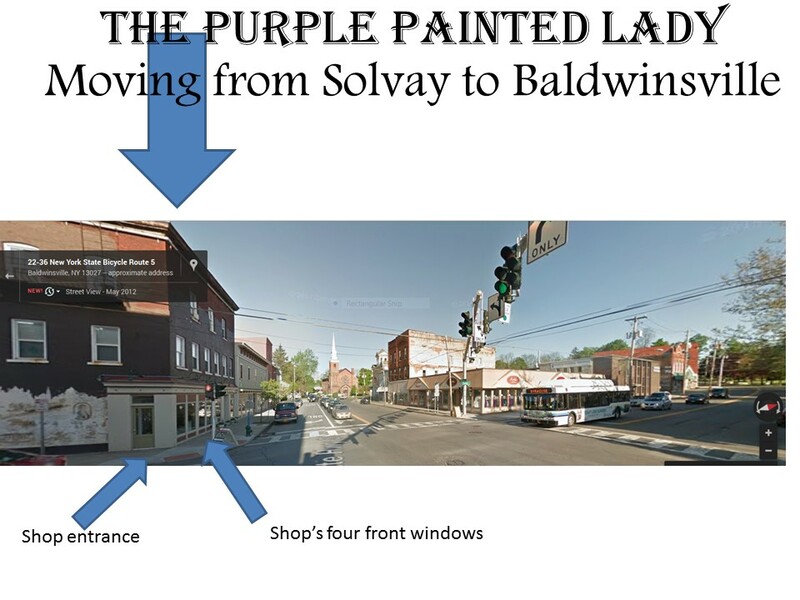 You might be thinking that the color of the piece in the above photo looks much lighter than what Florence typically looks like. And you are correct about that! That is because Yugonda added A LOT of the Pearl Plaster to the Florence and it really did change the color…. maybe a bit more subdued looking but she liked it. 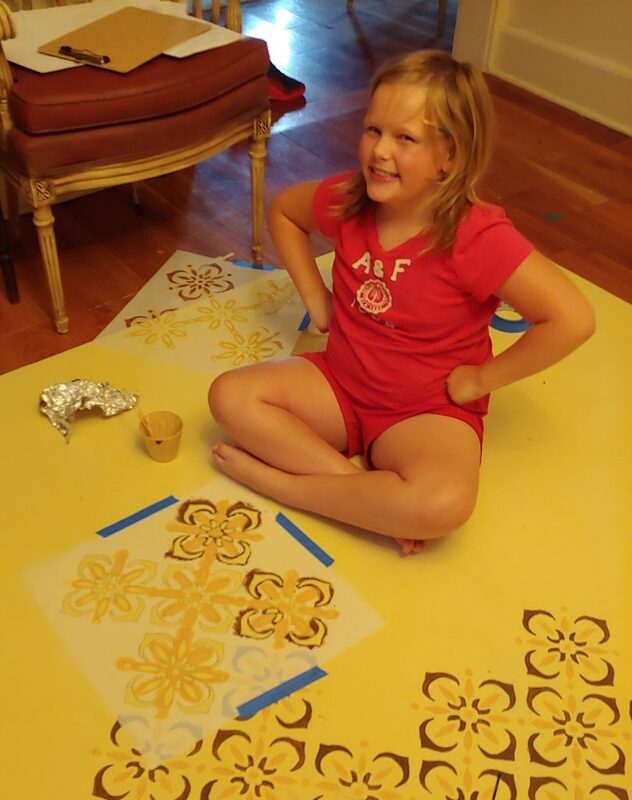 She found that the Pearl Plaster does create shimmer when mixed with paint, but not quite as much as she wanted for this particular special project. So, she painted the AE Pearl Plaster straight from container with a small brush using snow flake stencils to the bottom of table. She held the stencil in place and lifted it right up. 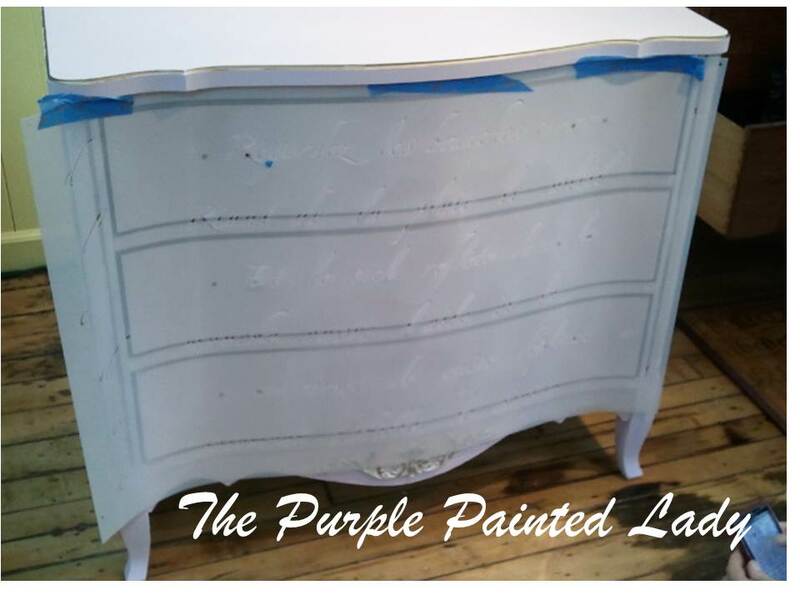 At The Purple Painted Lady we have used stencils with the Pearl Plaster and found it to be very easy to push through the stencil cutout and to get a smooth layer. Since this piece was for someone special – Yugonda wanted the piece really shimmery, so after waiting 10 minutes – she then applied a coat of the Pearl Plaster over the entire piece. Then- she stenciled more snow flakes on the top of the decoupage poster using Pearl Plaster again. Once that was all dry- she painted Pearl Plaster all over again, brushing in all directions over the poster. Lastly! (phew) -she finished the whole piece with Artisan Enhancement’s Clear Topcoat. Yugonda wrote me that she had no idea how creamy feeling the Artisan Enhancement products were and that it made them glide better during the application versus other products she has used. 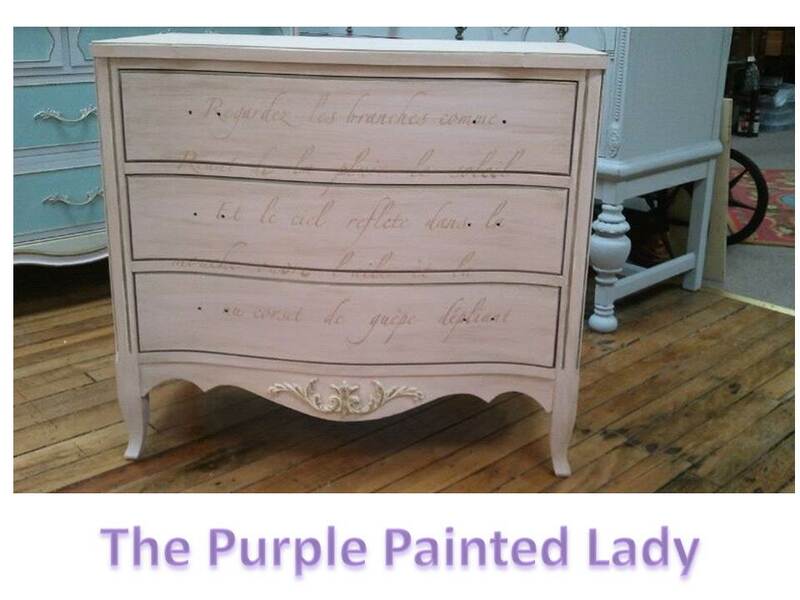 The Purple Painted Lady (that’s me!) 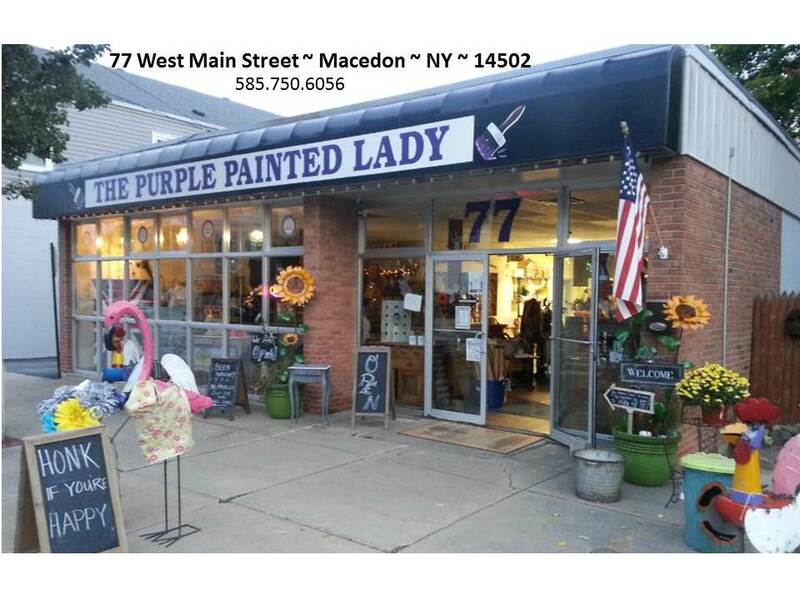 sells chalk paint® in three of her locations through out western NY and also- via her on-line store/website! If you do not purchase through me…I hope you give us the opportunity to do business with you! 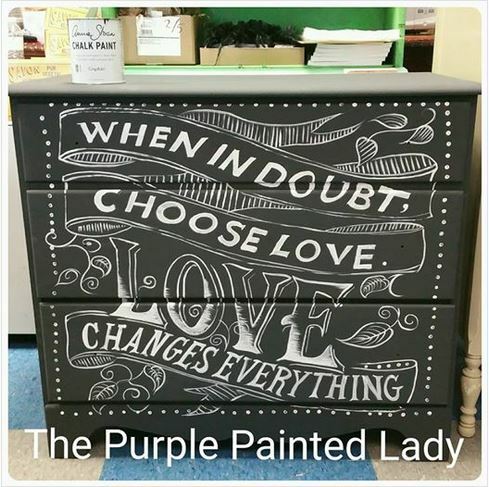 We sell Chalk Paint at $34.95 per quart which is the lowest price I can legally sell it for based on the contract to be a distributor. I ship out every week day all over the US. We offer the lowest flat rate UPS shipping cost so if you are one town away or 10 states away- the shipping cost is the same. We ship same day if your order is placed before our daily UPS pick up. 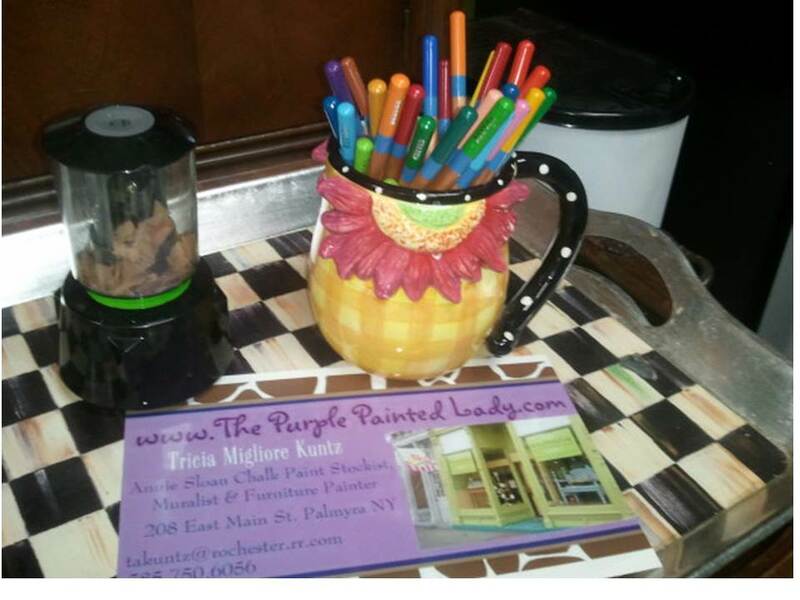 Also- it is my paint sales that keep me in business and allow me to be here to help you. 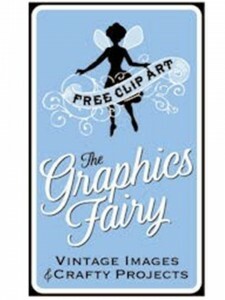 (my shameless, but honest plug) Link to Our On-Line Store HERE. : ) And I will be here to help you as you progress through your future project! And if I do say so myself- we offer the BEST customer service that you will ever experience! Here is a little post about what I mean when it comes to customer service and what you should expect from us – click HERE. 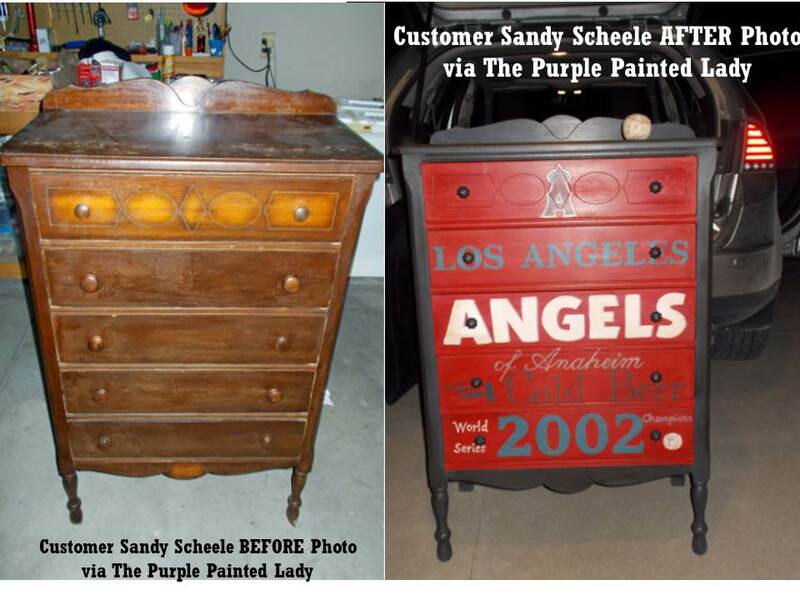 Look What Sally Scheele Did! I love receiving notes from all of you – especially when photos are attached and show me what you have accomplished or how you were inspired. When I started writing posts to share information- I did it to be helpful to you. What a surprise it has been to receive so much gratification from your messages and this email was so awesome I had to share it! I received a letter from Charles and Albert’s cool mom, Sally Scheele last night. I really enjoyed her note and was so impressed with what she did! Especially with the chair project shown below- most of us would have tossed it to the curb. You did not just refurbish it- I feel you resurrected it! 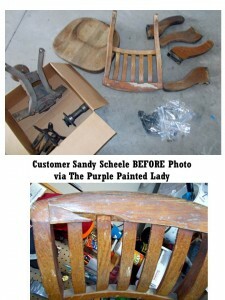 Sally, you have earned the title of “Salvage Sister!” So, dear Sally– YOU are being featured on The Purple Painted Lady! I re-read your “Fairy Godmother” article and wanted to share with you how I’ve taken all of your tips to heart. First- I bought an old weathered wooden desk chair, where a huge chunk was broken out and held in place with years of duct tape, all the mechanical parts were extremely greasy and grimey, and the seat looked like it had housed a plant (watered) for years. Wow, this was my biggest vision. Second- I’ve always wanted to attempt a Subway Art Typography project. 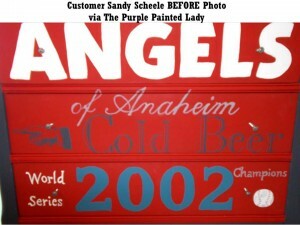 My youngest son is an avid baseball fan, a college pitcher, and a life-long Angel’s fan. 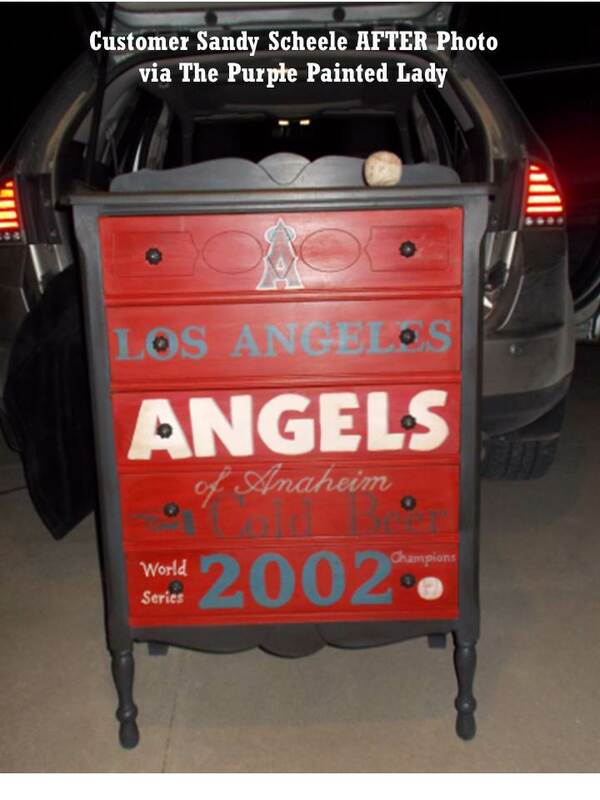 For his b-day, we got him tickets to see the Angels when they travel to KC next month, and I needed a neat way to present him with the tickets. It also helps out a college life/ apartment/ needs a dresser/ single guy decor – type of way. ( I had to do this before there is a bride who says- “that piece has to go, it goes with nothing!” A perfect opportunity arose! 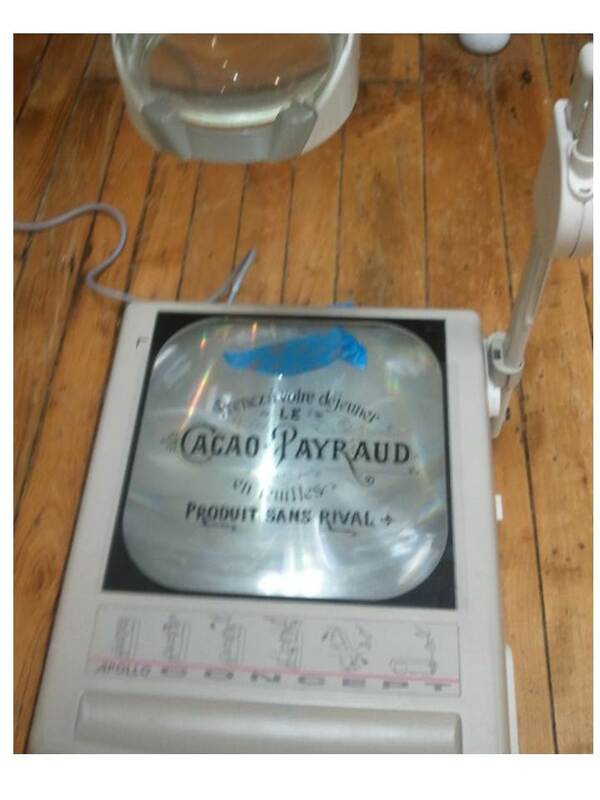 I borrowed our small parochial elementary school’s overhead projector, that they had buried in a back room. I bought them the bulbs, I get to use it. A great marriage. I followed all of your tips: tranparencies, watercolor pencils, Graphic Fairy, etc….. And when I re-read your article, I knew I had to send you a few before & after pictures to show you how we do listen, appreciate, and use all of your tips. Keep inspiring us, we’re definitely out there!! Thanks again!! These are not the type of pieces most people would do or want, but for me….. they made me smile. And I’m now the coolest, most talented mom out there, amongst the baseball guys anyway! Haha!! It’s all about SMILING! Thanks Again! 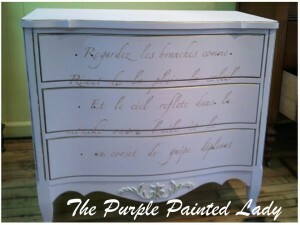 You might remember this one since it had that pretty pale gold French poem stencil across the front! Ooh la la! Anyway- back to the wash “how to”…the type of paint you use for doing a wash is VERY important. 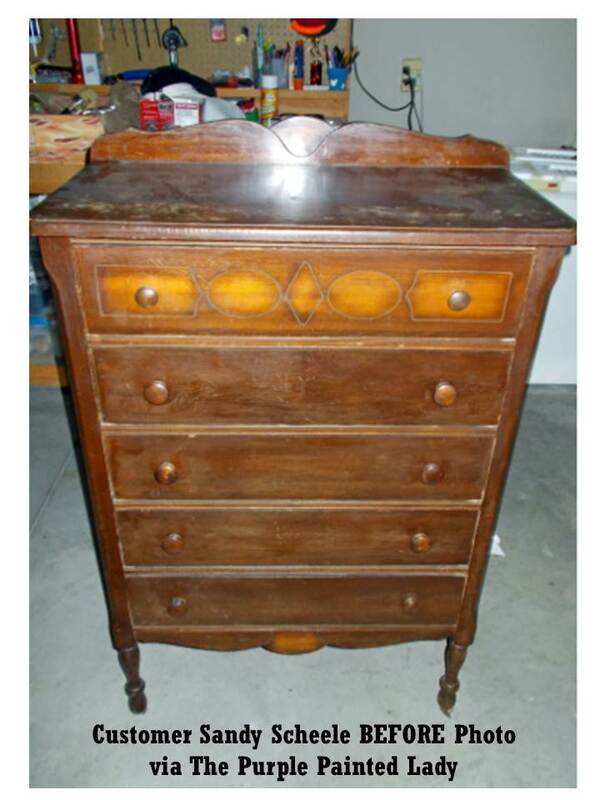 This dresser was probably purchased at Sears back in the 1970’s. You know this style …because every little girl had a bedroom suite like it. 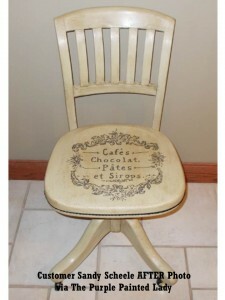 And these pieces often had a laminate style top- which this one had. So, without any sanding or priming- I first painted the French Provincial dresser using Chalk Paint® in the color Antoinette. You can see what the surface looked like originally in the photo to the right. I love pink- but felt this piece needed a bit more. 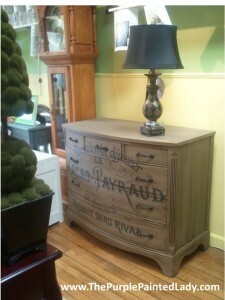 So, the stencil, “Spring Time in Paris” from Royal Design Studio is fantastic! 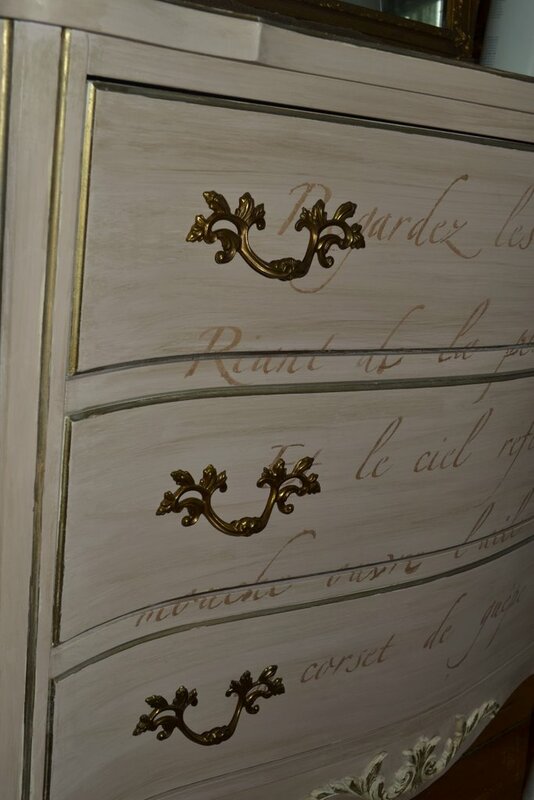 And since this is a French Provincial style dresser, painted in Antoinette- it seemed appropriate to use a stencil written in French. Stenciling brushes are round with short, stiff bristles. Use it in a quick up-and-down movement to dab paint onto your stencil. This helps prevent paint getting under the edges. Never apply in a circular motion. A sponge or small roller works well too, but I prefer the brush. 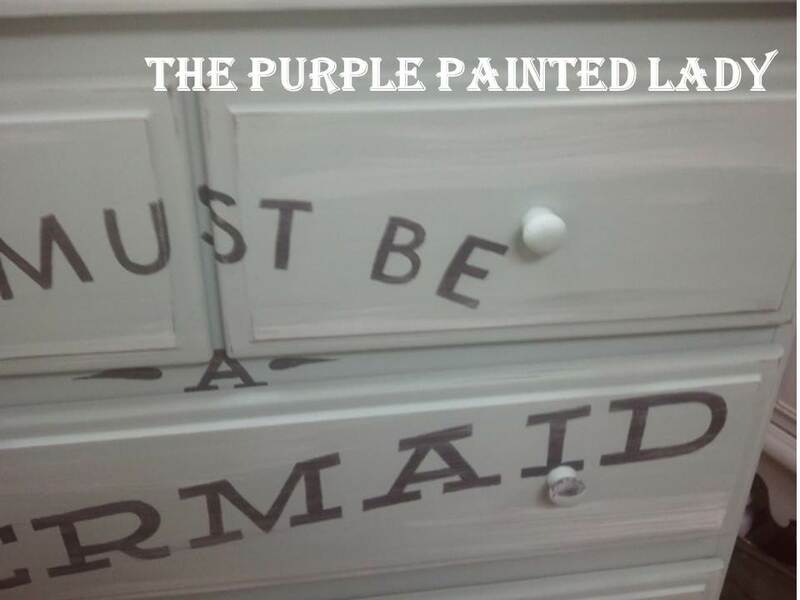 After finishing the stencil- I still felt the dresser needed something. So, at this point- I thought I would do a wash using the Coco. To make a “wash” – I first pour some Chalk Paint® into a plastic cup. A “wash” goes a long way in regards to coverage. 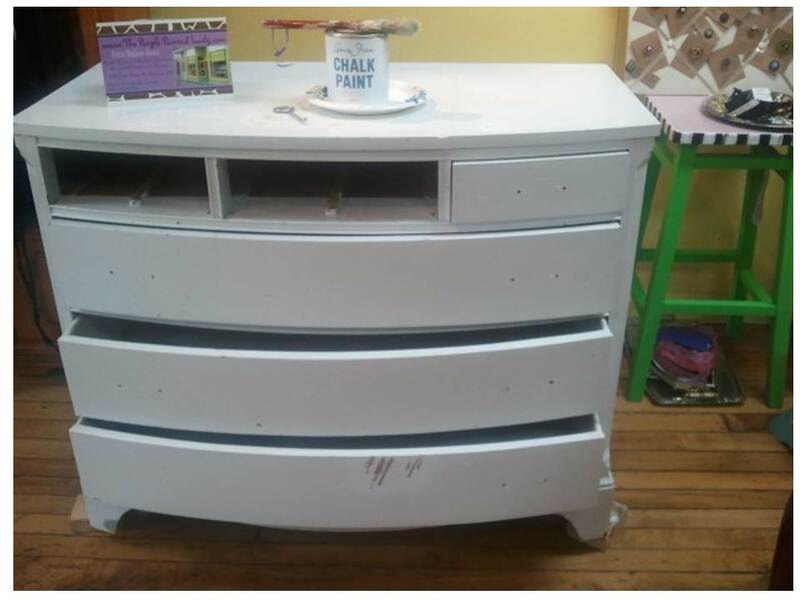 For this dresser I used about a half cup of the Coco Chalk Paint™. I then took my Sharpie marker and made a line on my plastic cup noting how high the paint was in it. I did this in case I needed to make more. Next…using a teaspoon add water to the paint-one teaspoon at a time (remember to measure and note the amount you add)….less is best since you can always add more water. The mixture of water and paint should begin to thin out. (Keep your paint:water ratio written down in case you need to make more!) The thinness or viscosity of the paint will be based on your preference. No recipe or rule here- but remember this is a “wash”– if you wanted to paint the piece- no need to add water. 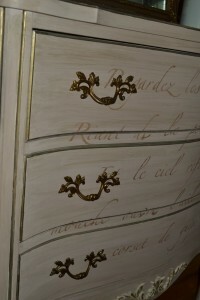 I added only a few teaspoons for my Antoinette painted dresser. When I applied the Coco wash to the Antoinette dresser- I brushed it on with a cheap chip brush versus a heavy Purdy bristle brush. 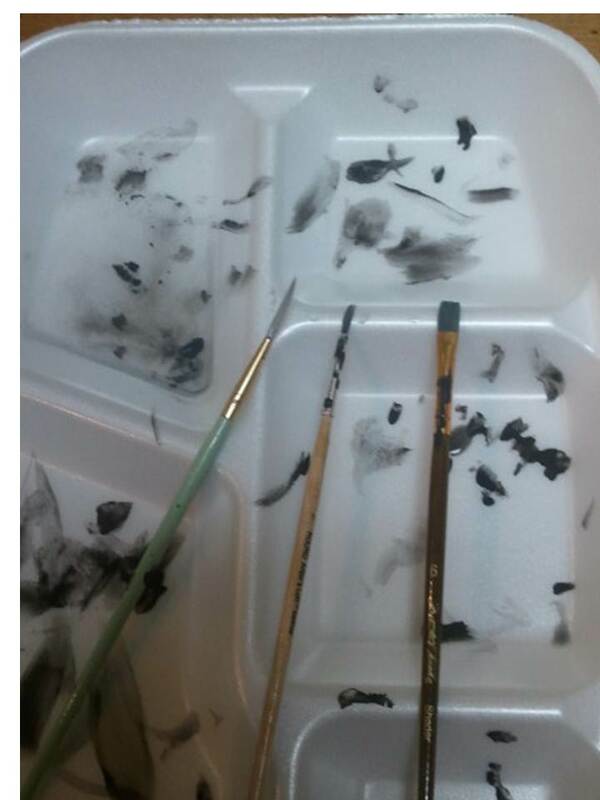 I laid the brush in its normal position…but used more of the tips versus the whole brush. Immediately next, I used a clean, lint free rag and wiped off the excess. That’s it- pretty simple, huh? You can make a “wash” that goes on over a piece that has already been waxed or not waxed. I prefer doing the wash before I apply a coat of wax…but that is just my preference. A wash makes for a real beautiful translucent effect! Let dry and then wax as normal. 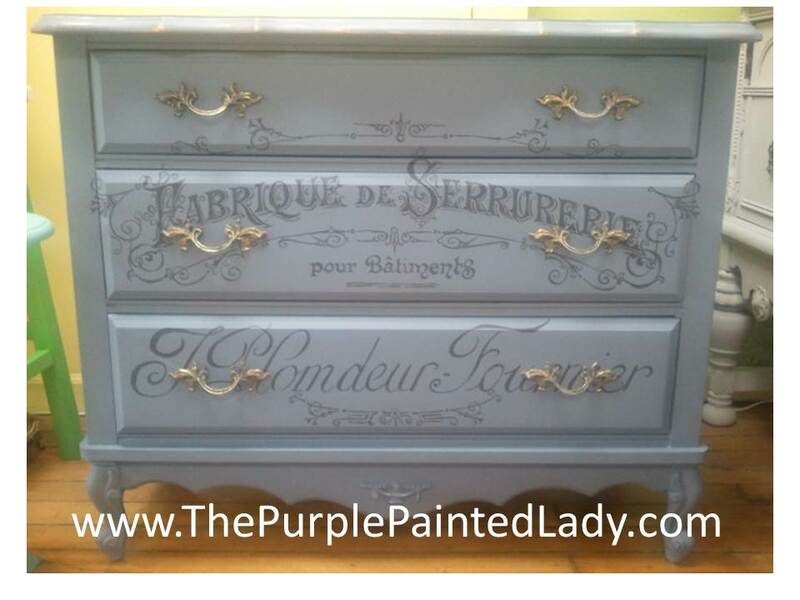 This is a great way to make a piece richer- which I think I did to this dresser.! OR…perhaps you want to try a bold color like Barcelona Orange, but are too chicken to “go for it”…I would suggest trying it in a wash first. It seems to be a more conservative approach and feels safer! 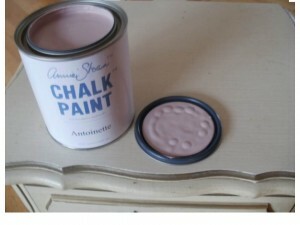 And why buy glazes when you can do something similar but in any Chalk Paint™ by Annie Sloan! 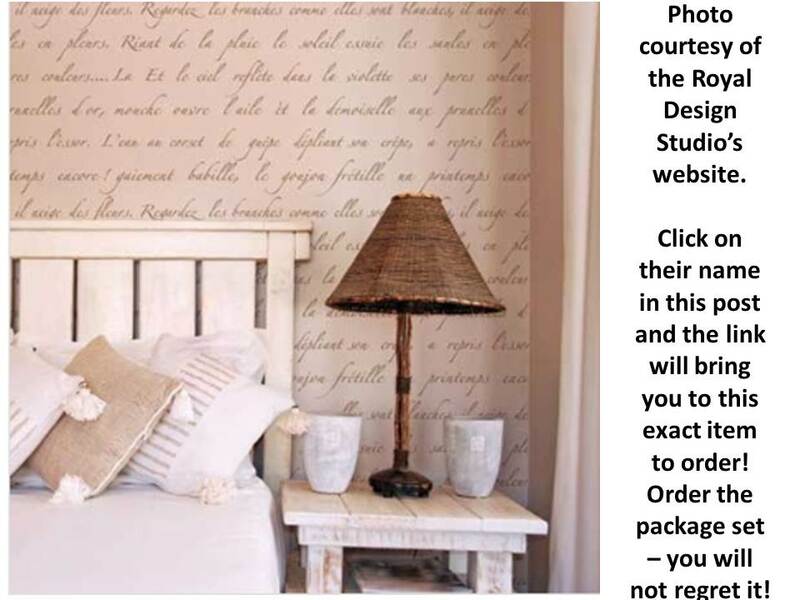 Try this “wash” effect with a color like Duck Egg over Old White….or French Linen over Graphite, Provence over Old Ochre OR just Old White “washed” over natural wood! There are no rules- but I hope the following helpful hints make this project idea more do-able for you! Please keep in mind the following…. 4. Put a drop cloth down if doing this in your home…you will drip some on the floor. 6. Apply wash in small sections and wipe off – then move on to the next section. During the wiping off process- be careful to not have “rag blotch marks.” Start at the top and wipe off in clean, even pressured strokes all the way to the opposite side. Do not stop half way or go against the direction you want the streaks in. Never go in circles with the rag. If your rag becomes too saturated- get a new one. 7. I used a chip brush to apply- I like the streaky effect from the bristles. 8. Plan twice, “wash” once. Meaning- know your piece and your plan on how you are going to approach the project…top first, then sides. 9. If you are just trying a wash for the first time (or 2nd or 3rd) – it is best to do this on a piece that is smooth across. Meaning- not raised panels, or with carved details. 10. Always wipe off your wash in the direction of the brush strokes. Never do it in circles- it will look a mess. 11. 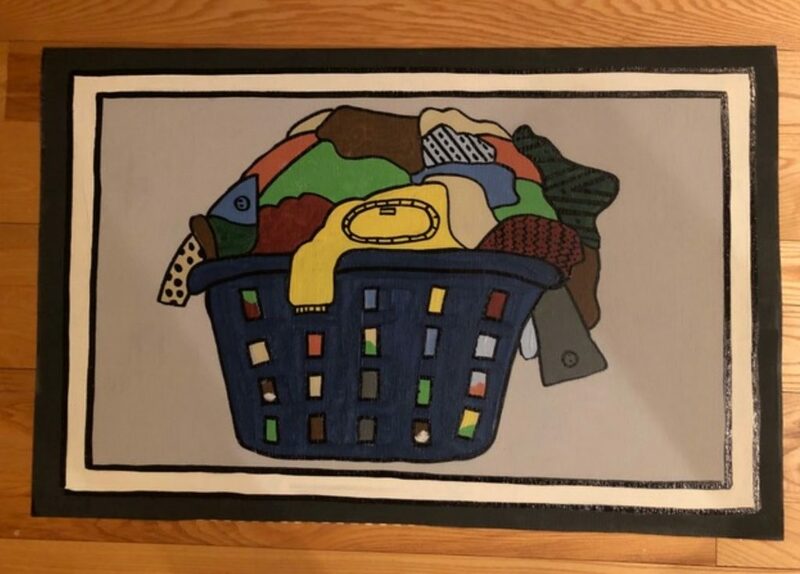 Never place your rag down in the middle of a wash. Gently wipe from one direction to the other- otherwise you run the risk of leaving an imprint of the rag in the middle of your painted surface. 12. If you get a wash in a spot that you did not want…don’t fret. Let it dry- then gently sand it off using some 400 grit sandpaper. And lastly- if you purchase the stencil I wrote about above – let me know your thoughts. I guarantee you will love it! And if you try this- please post a photo of your before and after on my FB page! Here is another project I did a little wash on- for this project however, I was a bit more strategic in the location of where I applied the “wash.” I was going for the quintessential “Beach” feel – so a I used Old White to make my wash. I literally- dipped the tips of my brush into the paint that was on the paint can, and then dipped the bristles into a bit of water. I strategically brushed on the “wash” over the Duck Egg Blue dresser and then- using a cheesecloth, wiped some off. Always wipe in the direction you painted. (ps….the camera on my phone is quite mediocre – this looks much nicer in person! )Thanks for reading! Typography! How does she do it?! Decorative painting ….transferring Typography! How does she do it?! 2. my typical approach to doing image projects like this. 4. And a new product called Transfer Gel by Artisan Enhancements® that we sell – which is another option to help you make amazing pieces also. Click HERE to see this product. Below I will share with you the steps took to create this funky painted dresser. Here is what the dresser looked like before anything was done to it. Not too pretty- but it had the perfect front surface for something fun to be painted on it! Not to mention it is all wood and well made. 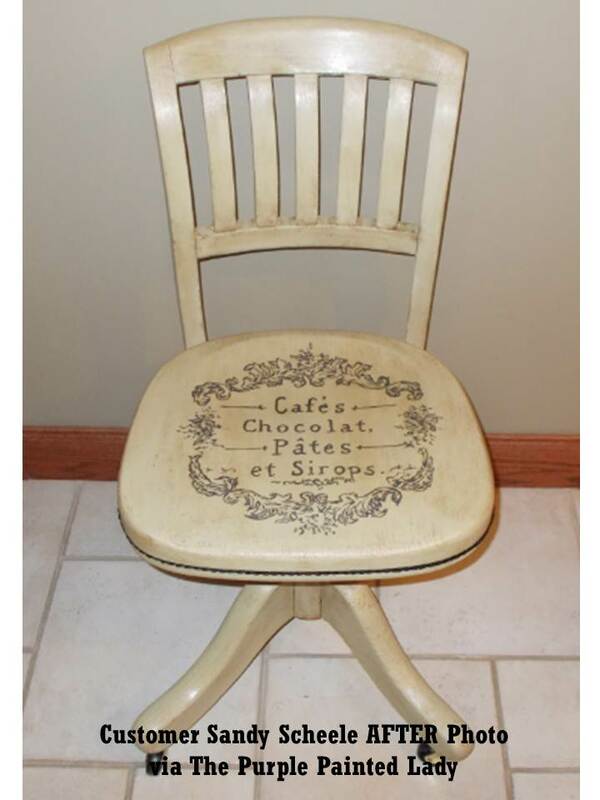 So…of course it was first painted with Annie Sloan Chalk Paint® Decorative Paints. 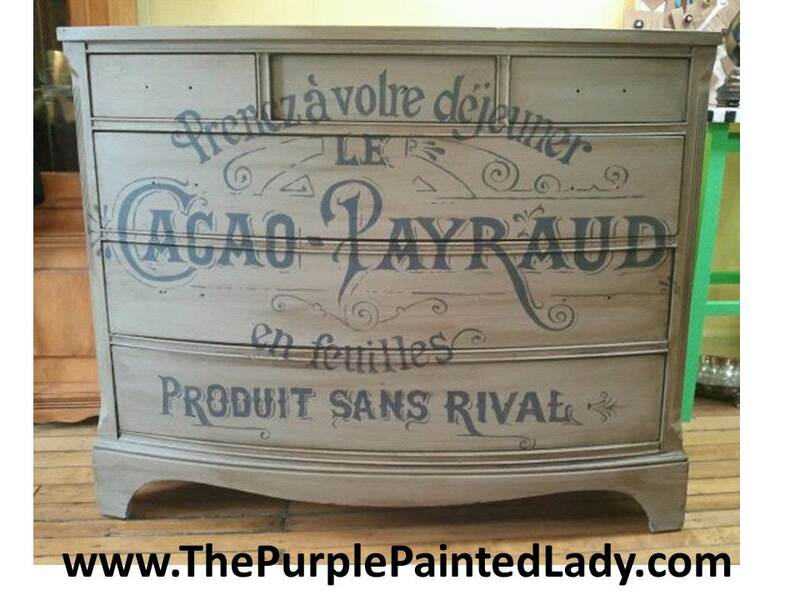 The color used was Coco- which is a beautiful color – especially with Dark Wax applied to it! 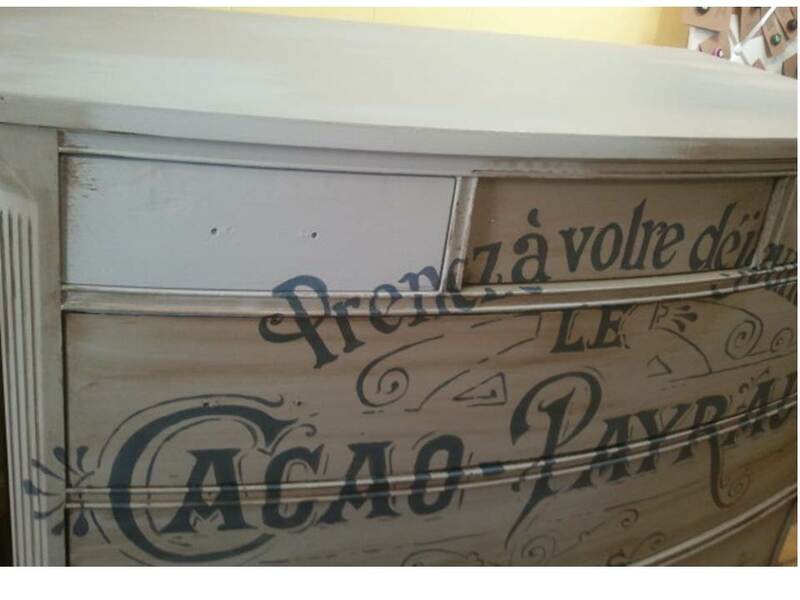 If interested in purchasing Coco Chalk Paint®- click HERE. 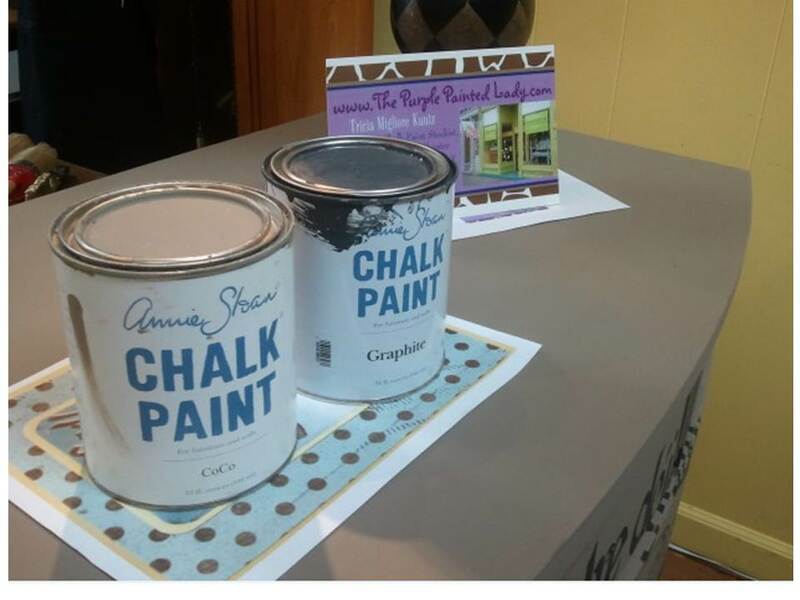 For this project, it took 1 1/2 coats of Chalk Pant® total. NO sanding or priming prior either and did I mention I sell Chalk Paint® on-line? Click HERE if interested in shopping. And oh, what do I mean by 1/2 coats? 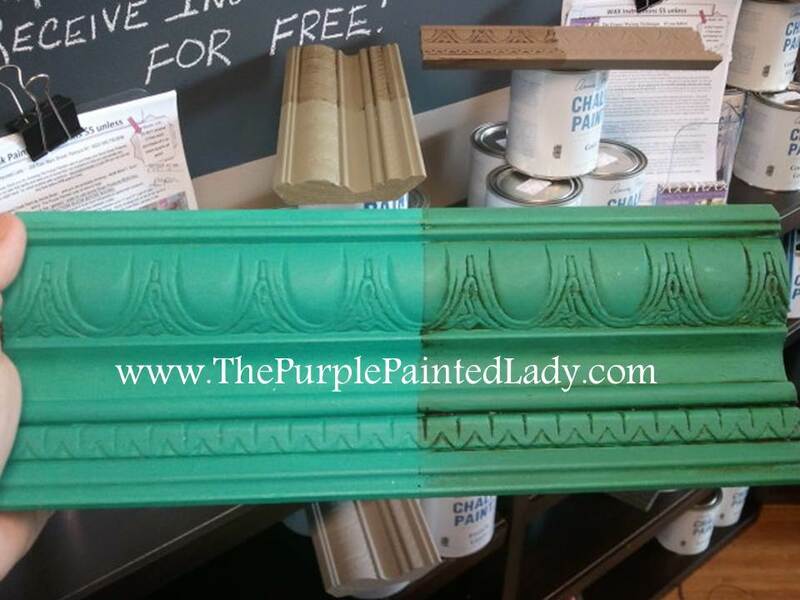 Well, after your first coat of Chalk Paint® dries- if you are applying a second coat with a brush (which you almost always need 2 coats of paint!) – often I will thin the paint by placing only a ¼ inch of water in a plastic cup with some paint. A good rule of thumb, is no more than 20% water added to the whatever amount of paint you have. And do this in a separate container, other than the actual paint can. 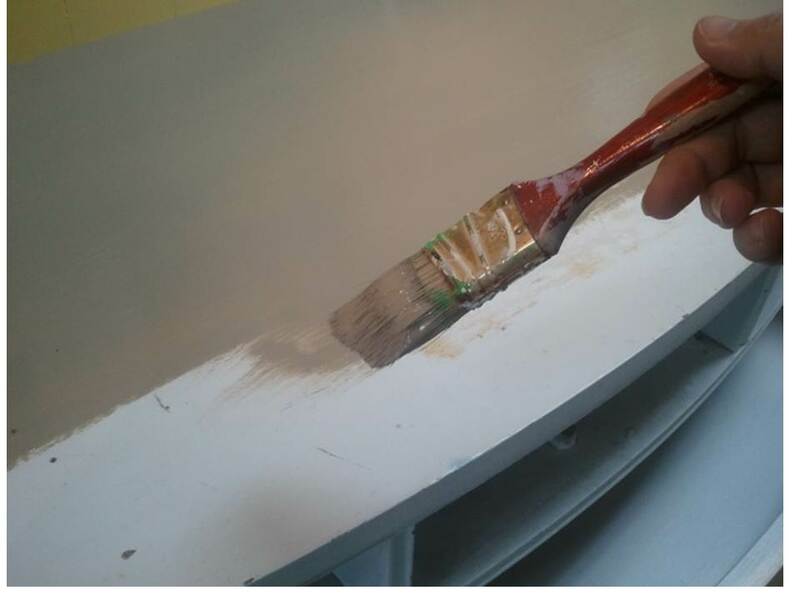 By adding some water- it allows the paint to be a little thinner and smoother and it will glide on easier and you will use less paint. (I will sometimes refer to it as a 1/2 coat.) Also, this is great if you are looking for more of a traditional “smooth” look with minimal brush strokes in regards to texture. Once finished painting the dresser with Coco- it was time to jazz it up. I did not want to use a stencil and actually could not find one the size or in the style I wanted. 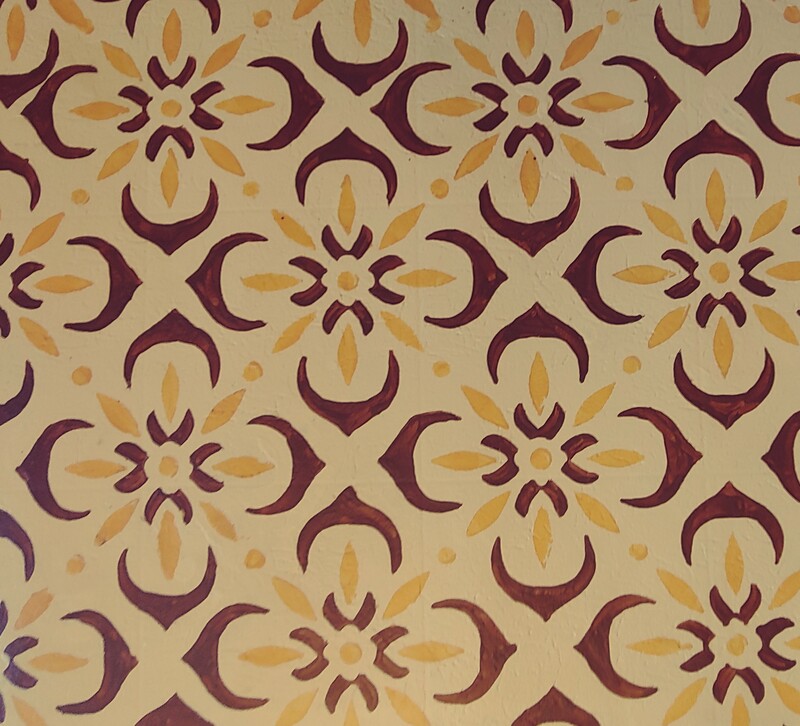 But when it comes to stencils- some are a necessity when doing a replicating pattern. But in general I have found that they can be quite expensive and often- I do not do the same detailed painting more than once or twice, so I do not need one. And to have a custom stencil created- FORGET IT…very expensive$$$. More importantly- I want to have a variety in the pieces I do, versus doing the same design again and again. I like to personalize an image and if you are savvy with using Paint Shop Pro (or some image editing software) you can. So for the project I am going to step through below what I did. 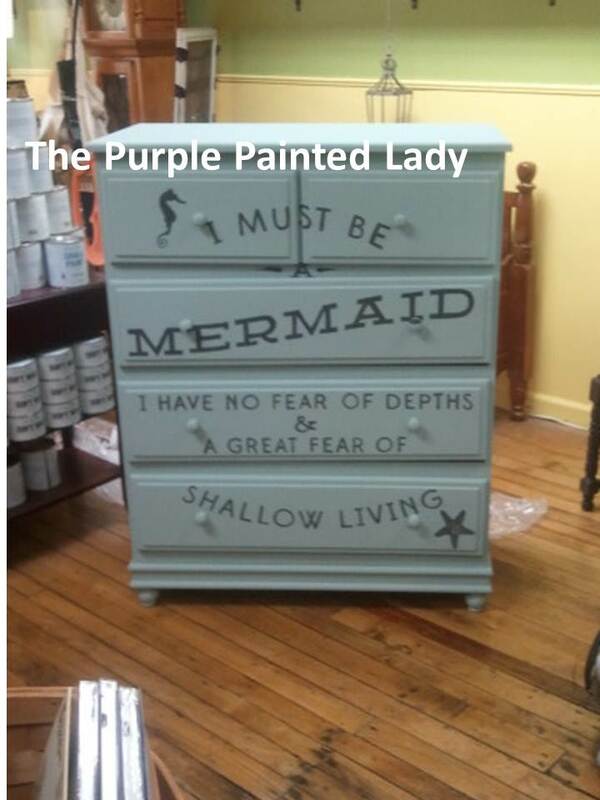 But just to share- if I was to purchase a big stencil to accommodate my design in this size- it would easily run a minimum of $100 to perhaps $200 retail- that is, if you could find one that matched this type of design. So instead, I suggest that you buy a projector off of Craigslist and print your transparencies on a laser printer. You will not regret it! And that is what I did….I just made a transparency and pushed the image up and traced it. 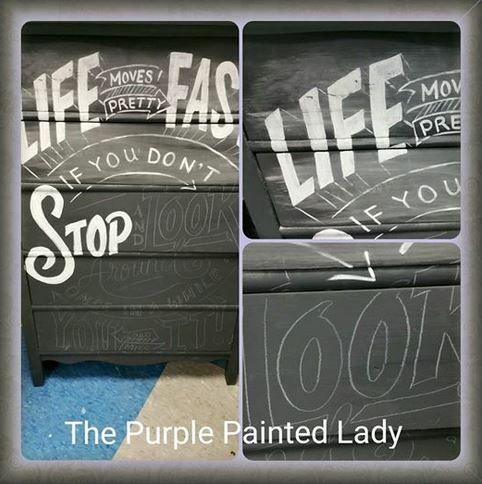 I used Graphite Chalk Paint® decorative paint by Annie Sloan to color within the lines. 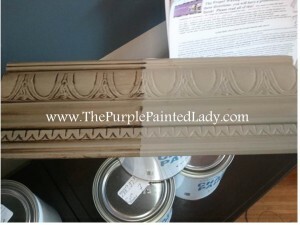 What makes Chalk Paint® so awesome is that it is very forgiving. 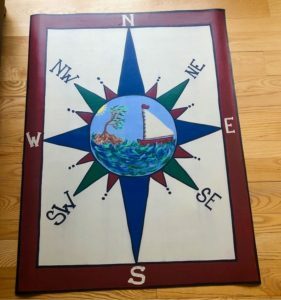 Meaning when I paint in the traced lettering on the piece below – I am not concerned about uniform coverage of paint since I am going to “age” this piece by distressing it with sand paper and use Dark Wax once done. With a little 200 to 400 grit sandpaper…I will make the front of this piece as smooth as glass! 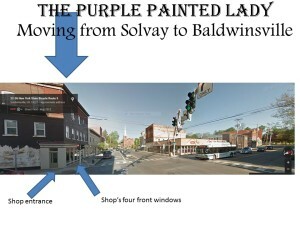 And ….make the uneven paint – work to my advantage! 1. So, where do I go to get inspiration? Please allow me to introduce you to my Fairy Godmother! 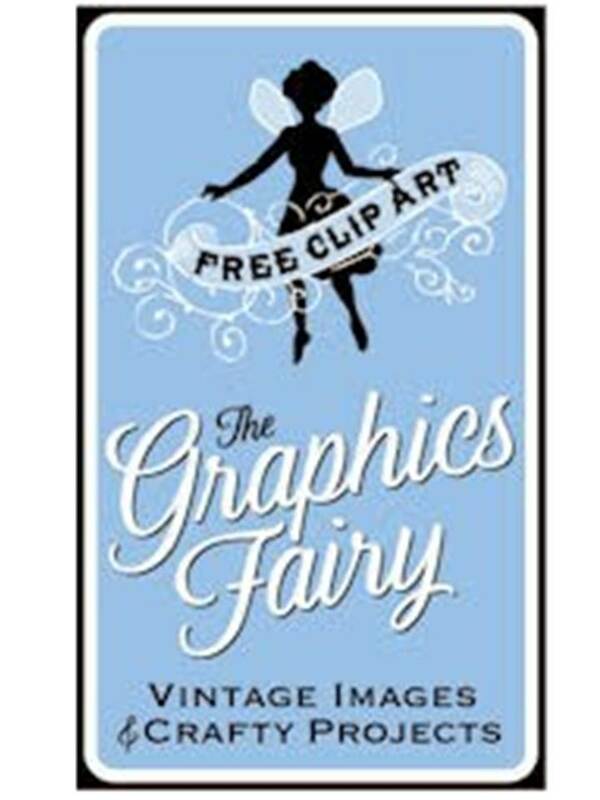 Visit The Graphics Fairy LLC website and browse. Karen – my Fairy Godmother (although she is probably much younger than me!) always has an infinite supply of the most incredible – inspirational images for me to choose from. And get this…all of her site- IS FREE! Crazy right?! Search for whatever you might have in mind. If you have no ideas, just browse some of the folders she has on her main menu. I guarantee, something will appeal to you! 3. Using my ancient and inexpensive overhead projector, I push the image onto my furniture piece. Make sure to only begin this step when you have ample time to do the whole layout. Don’t plan on starting the lay out on one day and finishing it another because if you move your piece by accident or the projector gets shifted – nothing will line up and you will have a fun time (sarcasm) trying to align it all again! I align my design by eye. Always step back a good few feet and look at your piece from a distance. Make sure to leave ample room between your piece and the projector so that you can comfortably stretch out or lay down on the ground without touching either, or you risk moving one! For this image, I gauged the distance from the top of the letters from a drawer seam to make sure that it looks uniformed before I start to trace my projection. As for the projector- find one on Craigslist for a minimal amount of money. 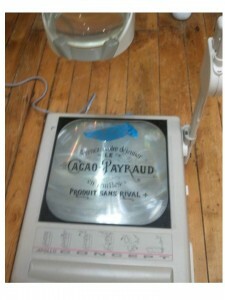 Unless a projector was relatively new or came with a large inventory of bulbs- I would not pay more than $60 for one. (and for $60, I am looking for a top of the line projector) The most expensive part of a projector is the bulbs. Make sure to ask the current owner if they have any extra bulbs that they will give you with the purchase or confirm that the bulbs are still available to buy! Another idea- I like to use this method for wall designs. 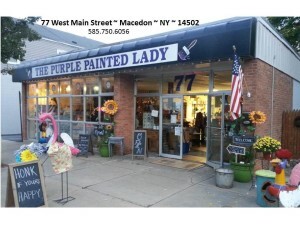 At my 2000 sq ft shop in the village of Macedon- I have started to work on my Miss Mustard Seed Milk Paint display. Customizing your space is always cool, in my opinion. I used my projector to do this too. I still need to add “miss mustard seed” in an arc over my cute cow’s head, but I really like how it looks already! When you begin to trace, be strategic. Meaning start on the top of the image and work your way down. This will prevent you from smearing your lines. This is especially important if working on a project when it is hot and humid. The moisture on your skin will smudge the water color lines. 5. Once your layout is done- celebrate! Now the fun part begins…painting it all in! I use artist’s paint brushes that I purchase at Hobby Lobby or Michaels Stores. For this project, I used a straight top brush that was about 1/3 of an inch wide and then two other fine tipped brushes for detailing and making whimsical lines. I also have a bunch of styrofoam plates around that I use to hold a little water and to remove some paint from my brushes when I get too much on them. Some people will use paint markers, but be careful. Make sure to test whatever type of marker you are using prior with the wax or top coat you will be using. Some will smear or smudge- and you do not want that happening after investing time and energy in creating your design. Begin painting in a strategic way. Since I am right handed, I always start applying paint on the top left of the image. That way- I can rest my hand that is holding the paint brush on the piece without worry of laying it in wet paint. This is important since you will create a nicer, straighter – more controlled brush stroke when your hand is resting on the surface, versus floating in mid-air. 6. I will share that the amount of time to complete what I have done so far is relative to your experience as a painter. The more you paint- the faster you will be. The old saying- practice makes perfect is very true! I completed what you see done in the photo ABOVE in about one hour and 15 minutes, and that includes painting the dresser (it does exclude drying time.) But don’t worry about the time if you are slower than me because it is not a race and in the end- what matters is you creating a beautiful piece. Painting, detailing, waxing…in the end I will have about 2 hours vested in this. Again- the more you paint- the faster you will be. 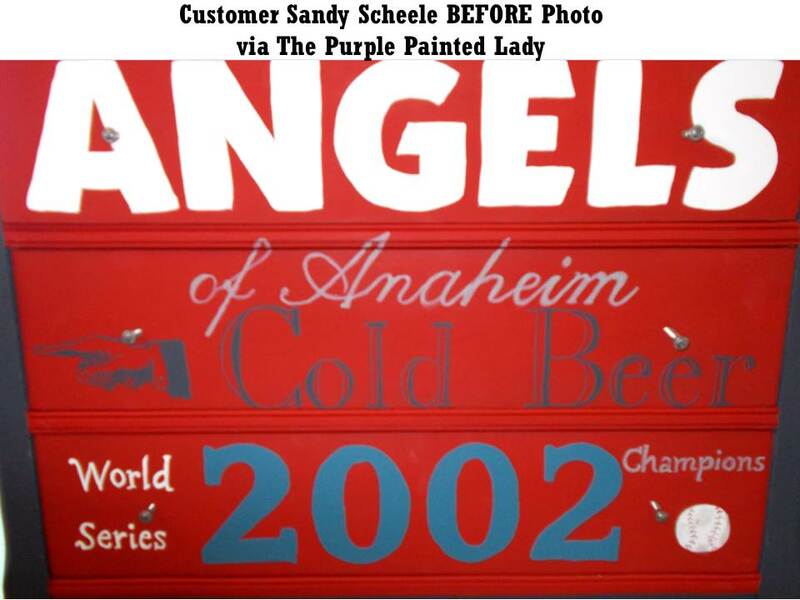 I have been professionally painting pieces and murals for about 10 years now. I then completed the application of clear wax as a base, and then the dark wax. 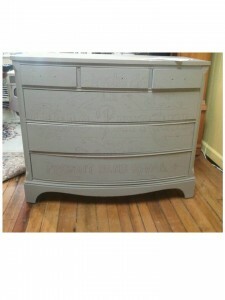 Here is a photo of the front of the dresser with one drawer still waiting for dark wax. You can see where I have applied the dark wax. Check out THIS video of Annie Sloan painting a little cabinet and using both clear and dark wax. I made sure to push Dark Wax into the little cracks and dents of the dresser so to really gave the dresser that “Pottery Barn” aged look. 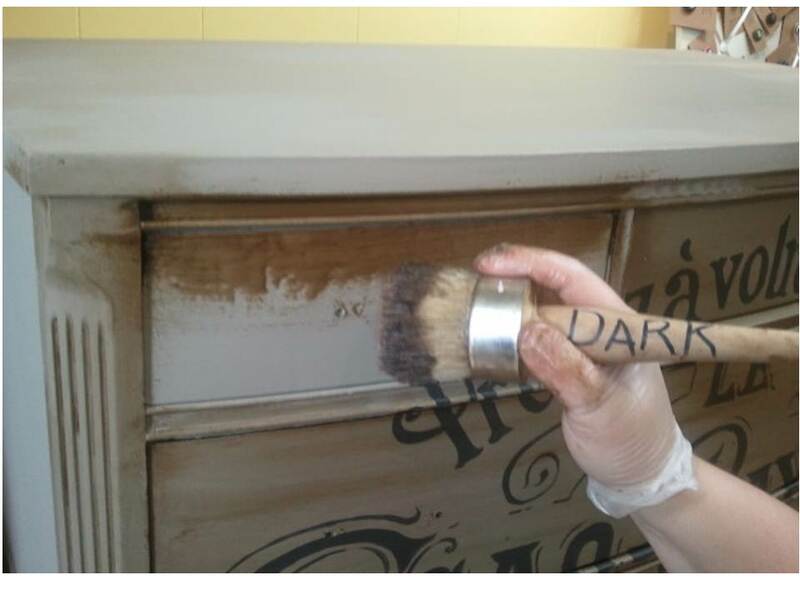 Now before you tackle a sacred piece of furniture that you inherited from your favorite great aunt with Dark Wax, I suggest you “practice” with Dark Wax on a small piece or a cheap garage sale find. 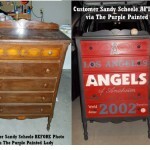 This way you can get some experience and understand the approach on how to make your piece look aged, and not dirty. 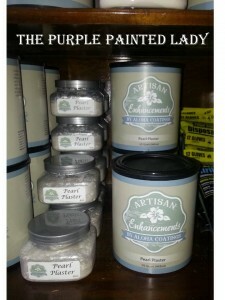 : ) Please make sure to read my post HERE to learn more about Dark Wax. 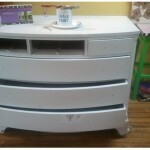 Below is a photo of the dresser finished and with the hardware installed. What do you think? – I used a white water color pencil. 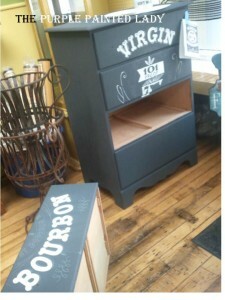 I will typically take the drawers out to paint the design, and then- using sandpaper- I distress my painted letters. This will create a super smooth finish. Note the white dust on the Graphite paint from sanding over the white letters. Do not worry about that because once I go over this with my Annie Sloan Clear Wax- the residual dust will disappear. Now, if you are not into purchasing a projector and sketching out your image- here is a another amazing option that streamlines this process. 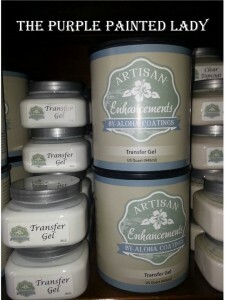 It is a product called product called Transfer Gel by Artisan Enhancements® that I am retailing at my Macedon store and here on-line – which is another option to help you make amazing pieces also. 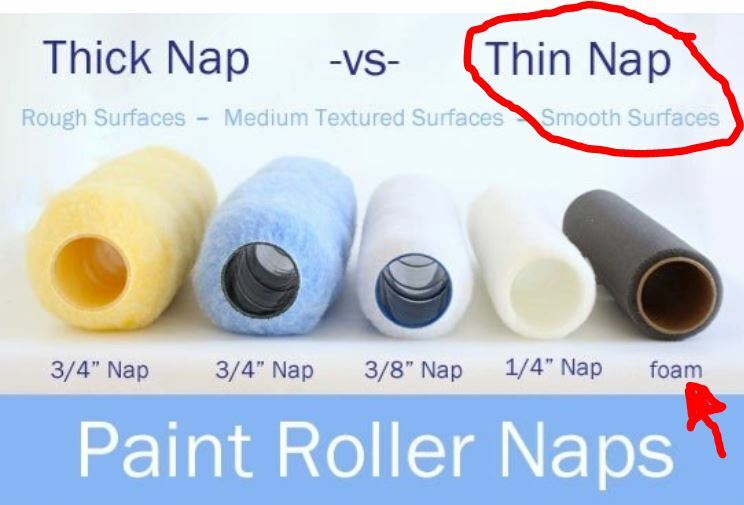 Click HERE to see this product. 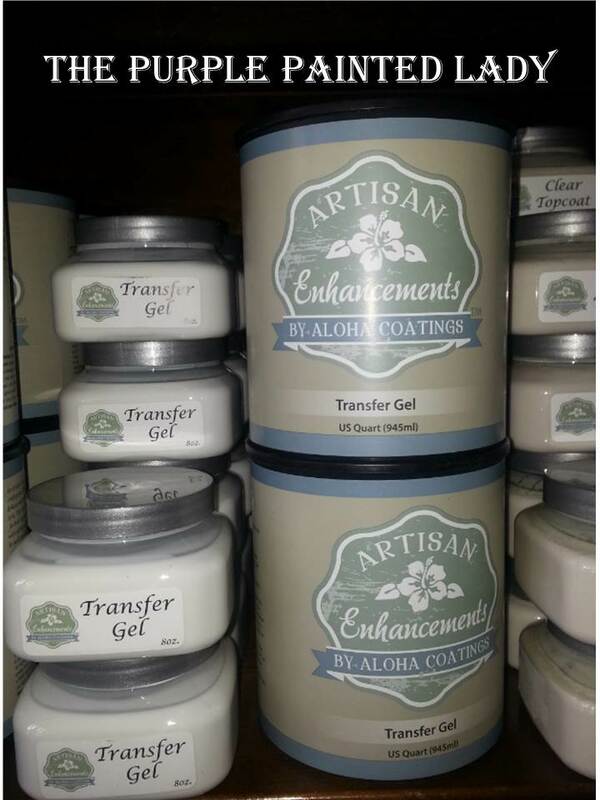 So what is Transfer Gel by Artisan Enhancements®? Transfer Gel by Artisan Enhancements® is a product that enables you to make funky pieces that others have done by hand in the past. It is a transparent fibrous gel that you apply over an image that you printed from either a laser jet printer or professional printed image from your local CopyMax or copying store. Both black & white images and color images work perfectly with this gel. So, how does the Transfer Gel work? Well, first you find an image you love, print it to the correct size and remember to make it in the reverse that you want to see it. This is especially important if transferring lettering otherwise the wording will be backwards! Then, you lay your printed image onto your painted piece. If you can lay your furniture down so the image is facing up ~ for example, if doing a dresser front- consider laying the dresser on its back. This is not necessary, but if you have a small piece- do it. Apply the Transfer Gel by brush and use quite a bit of it covering the whole image in a uniform way. 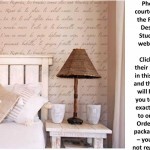 Again, your image is face down so the printed image is facing the furniture, not you. And one last reminder- make sure print is mirror imaged. Use a smoothing tool to adhere paper evenly to surface. I like the plastic scraper that I received with my Pamper Chef baking stone, but even an old plastic library card works. Allow your printed paper to dry to assure the image has transferred. It is best to leave it overnight- or even 24 hours depending on the temperature and moisture in your area. (Don’t try to rush this – otherwise it will be like taking a cake out of the over after half the time it needs.) Some have shared that you can rush it by using a hairdryer- but I suggest you be patient and only use a hair dryer at the very end. As always, it is best to test a small spot to make sure that the drying was totally completed. 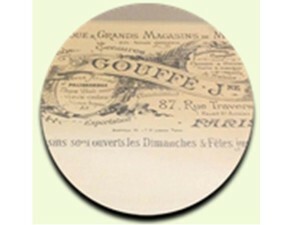 Some have shared that if you get a funny outside haze circle- that is referred to a “halo” effect – after you have removed the paper- just lightly sand the edges of the image with a fine grit paper like 300 or 400 grit. Just like dark cars show more dirt, dings and scratches- this halo effect seems more evident on darker colored painted pieces. 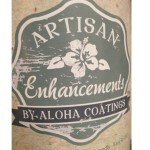 Last, use the Artisan Enhancements® Clear Topcoat to seal. To access the Clear Topcoat in our on-line store click HERE. I hope what I have shared has been helpful. Please feel free to email me questions if there is something you do not understand.